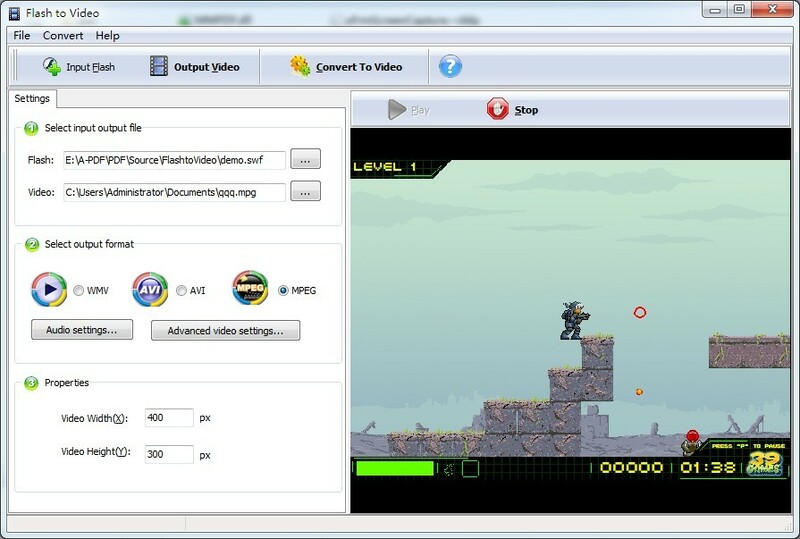 A-PDF Flash to Video is a simple, lightning-fast and powerful desktop utility program that lets you to convert any Adobe Flash (swf and flv files) to video movie AVI, mp4,WMV, MPEG files or others. The converting process allowing human interaction on Flash content during conversion. You can use A-PDF Flash to Video to create your own video or DVD collection by converting with A-PDF Flash To Video, your favorite flash movies. Record the passing of your favorite flash game to video file and save it to the future and etc. A-PDF Flash to Video Converter can always maintain excellent quality of original video and audio, help you produce various videos and Flash movies with advanced effect, and then you can enjoy fancy Flash animations on portable devices with ease.